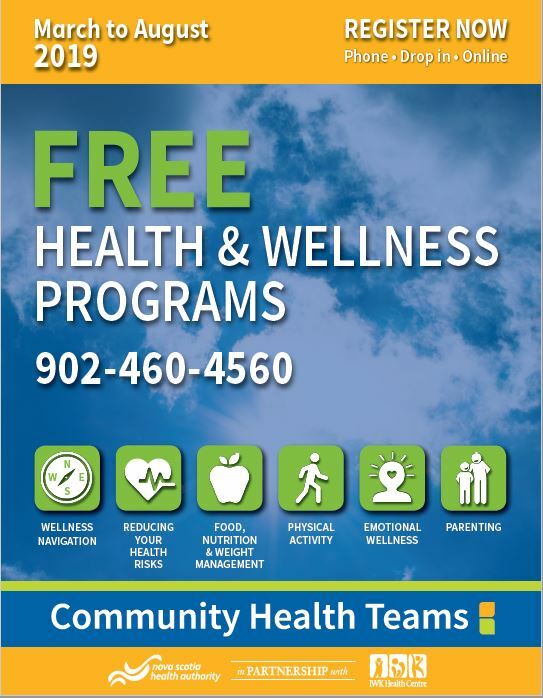 The Community Health Teams offer FREE wellness programs and wellness navigation services in your community. The range of programs and services offered by each Community Health Team are shaped by what we have heard citizens need to best support their health. Offers FREE wellness navigation to help you prioritize health goals and connect to resources that you need. Works closely together with community organizations toward building a stronger and healthier community. How do I register for Community Health Team services? How do I know which Community Health Team is offering services in MY community? Looking for the Hants Health and Wellness Team? You can find everything you need to know about the Hants Health and Wellness Team on their page.